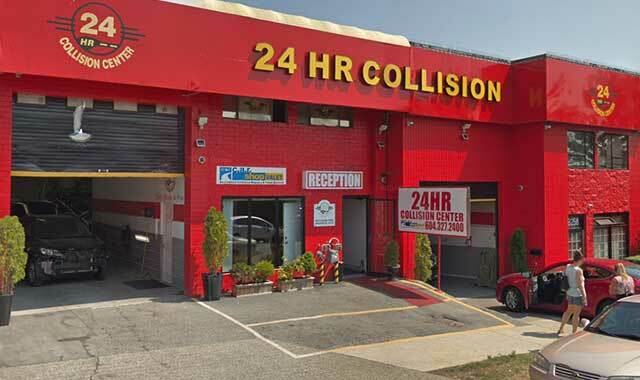 We are here to help you with your body shop and collision repair needs. Come in, give us a call or send us an email. We will get back to you as soon as we can during regular business hours. Located in the Vancouver area, we service the following communities: Abbotsford, Burnaby, Cloverdale, Coquitlam, Delta, Fleetwood, Guilford, Ladner, Langley, New Westminster, Newton, Richmond, South Surrey, Steveston, Surrey, Vancouver, Whalley, and White Rock in addition to surrounding areas. If you need immediate attention please call us at: (604) 327-2400.